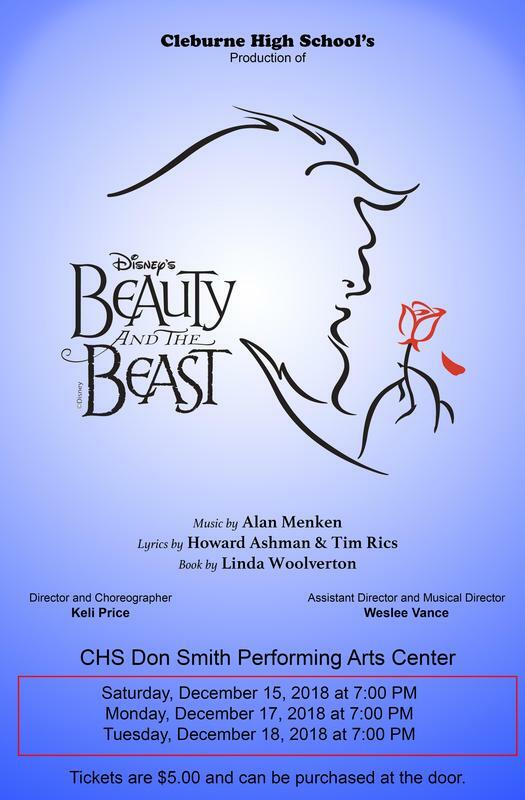 A project of the choir and theater arts programs, the production is one not to miss, according to the “Beauty,” junior Rylee Mullen, and the “Beast,” senior Brandon Finley. 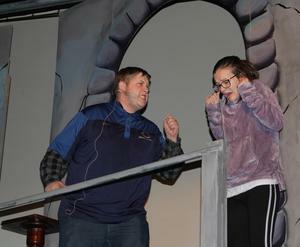 “Amazing” is also the word heard often in Finley’s remarks regarding the CHS musical production. 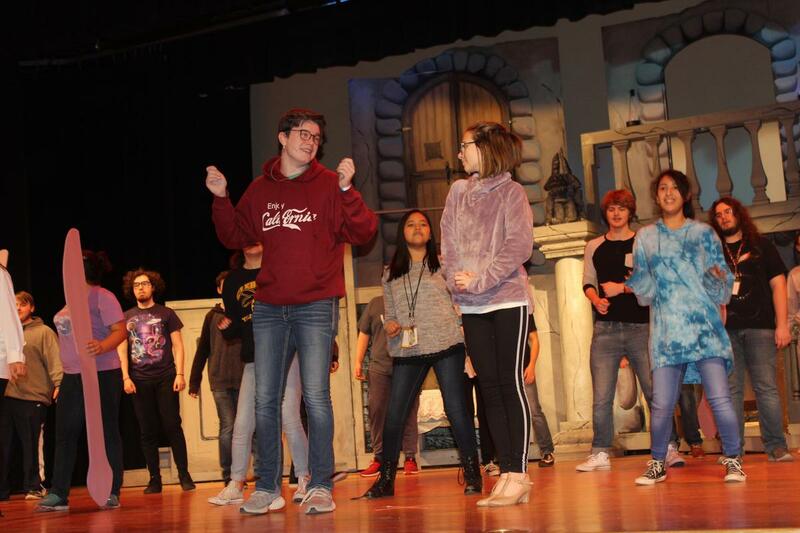 Price, in her second year as a theater arts teacher at CHS, agrees this production is definitely major, and she credits the cast, her technical crew, and co-producer, choir director Weslee Vance, in making it happen. Mullen has been singing and acting since the age of six. She has appeared in numerous Plaza Theatre productions through the years, but this will be her first time to perform in a CHS presentation. When asked how it feels to play the beautiful girl in a fairy tale, “enchanting” is her reply. While the 17-year-old’s acting experience is quite varied, musical theater is where her passion lies. Between an academic schedule filled with AP classes and her ongoing participation in Plaza productions, Mullen has been a “busy Beauty” since October, when she added rehearsals for the musical to her calendar. Mullen says she is happy to share the stage with the Beast in the production. Finley set his sights on the role of the Beast when he learned last spring that the production had been selected. Finley portrayed Coach Bolton in Cleburne’s 2017 production of “High School Musical,” but it was strictly a speaking part. Feeling he needed more musical theater under his belt, he auditioned for Plaza’s summer production of “All Shook Up,” landing the role of singing Sheriff Earl. Whether singing or growling, Finley is also confident in his role of the Beast. The challenges include a facial transformation as the monster on stage. While Finley competed with several friends for the role of the Beast, he recruited best friend Luke Galan to audition for the Beast’s arch enemy, Gaston. While neither Belle nor the Beast will be pursuing degrees in theater, it will remain an interest. Finley, who is a student intern with the Cleburne Police Department, has plans for a career in law enforcement. He may be a singing policeman, as acting will continue as a hobby. Mullen plans to major in biology in achieving a B.S. in nursing, with the ultimate goal of becoming a physician’s assistant. Cleburne ISD students in grades 3-5 will be attending school-day performances of the production on December 18. Those attending the opening night performance can come early to sip tea or lemonade and meet the cast of Beauty and the Beast at “Tea Time with Mrs. Potts,” which will take place from 5-6:30 p.m. Admission is $5 and children are invited to dress as their favorite Disney characters. Proceeds from the event will benefit the CHS theater arts program. 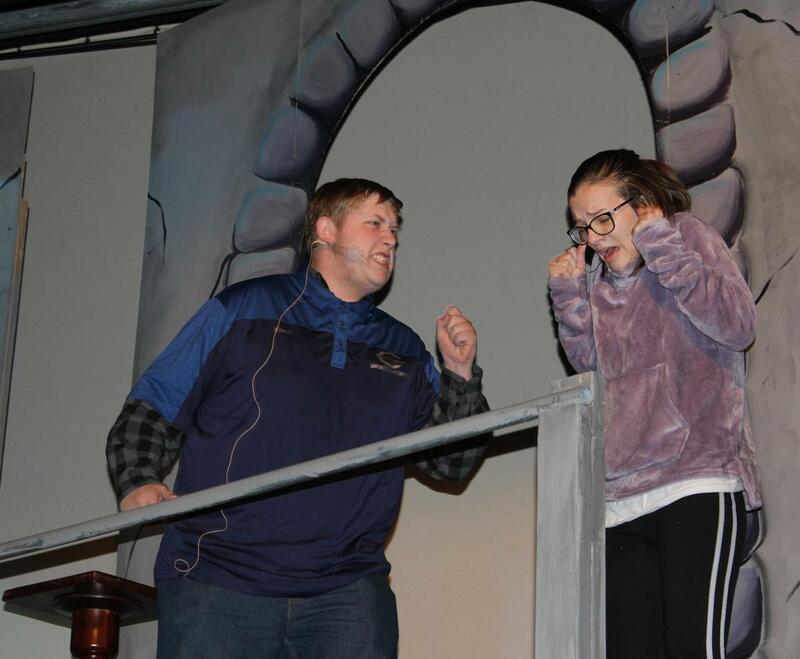 The Beast, portrayed by Brandon Finley, has some angry words for Rylee Mullen, cast as Belle, during this rehearsal scene from Disney’s “Beauty and the Beast.” The Cleburne High School musical production of “Beauty and the Beast” will be presented December 15, 17 and 18 at 7 p.m. in the Don Smith Performing Arts Center.